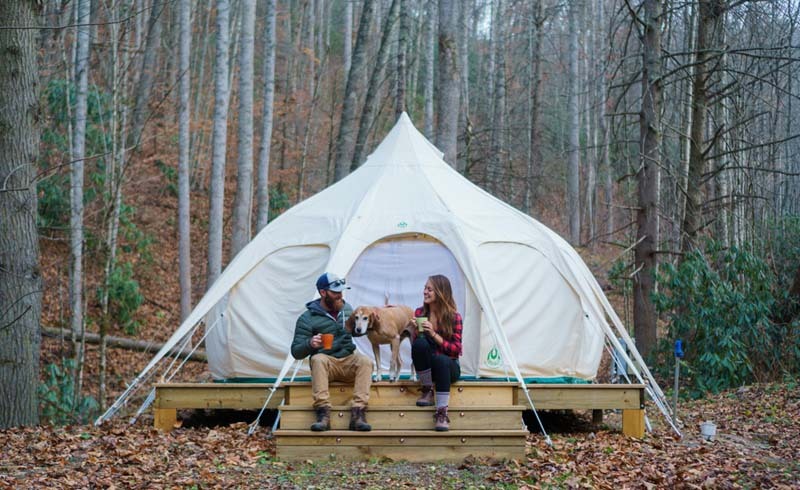 8 Glamping Sites Across the U.S. If you think you’re not made for “roughing it” in nature—well, you don’t have to. 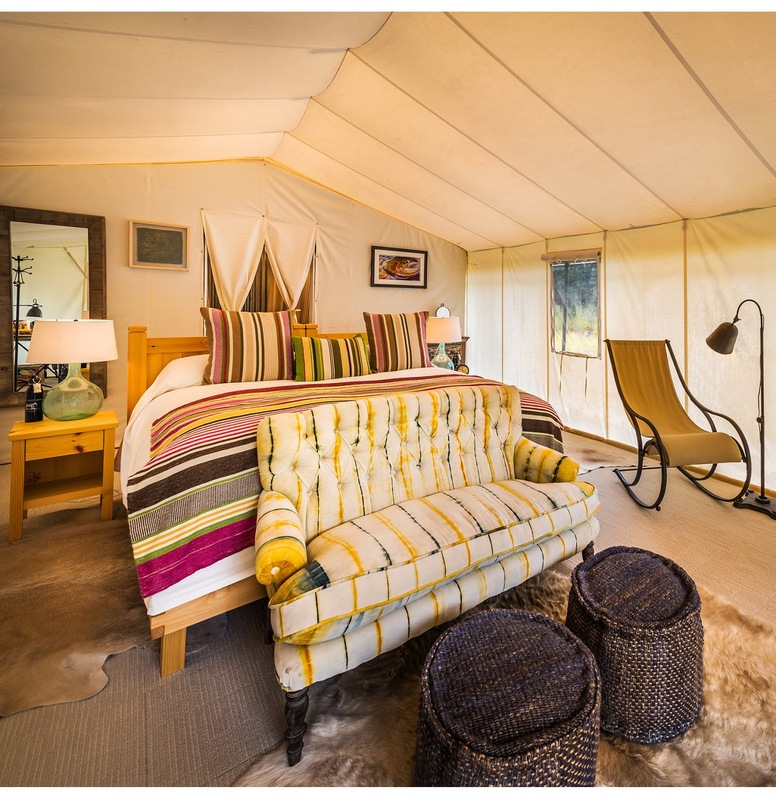 Glamping (glamorous camping) combines the great outdoors with the high-end amenities to make for a comfortable and unforgettable vacation. Take a look at these spots to add to your bucket list. 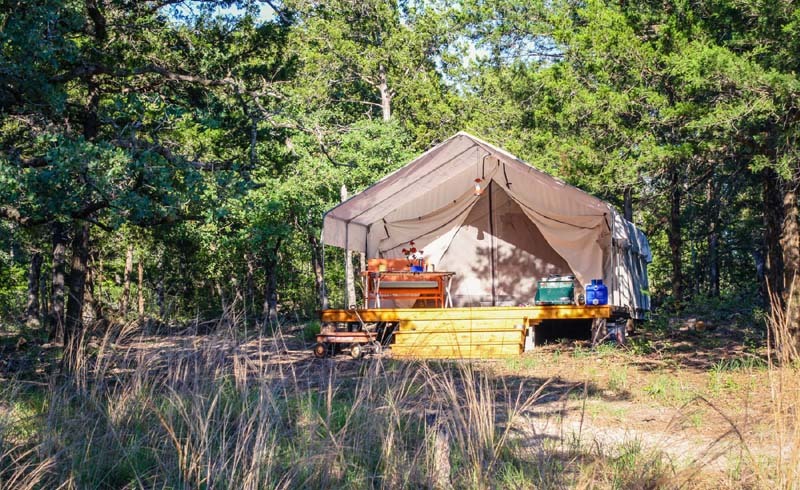 This upscale campsite has tents equipped with a bed and fine linens, battery-operated lanterns, and comfortable furniture—there’s also a shared campsite bath house with modern amenities. Guests can take advantage of the spa or yoga classes at the resort, or explore the vineyards and hiking trails of the Finger Lakes region. Your stay includes complimentary breakfast and happy hour tastings. Rates: Starts at $179 per night (double occupancy), firelightcamps.com. 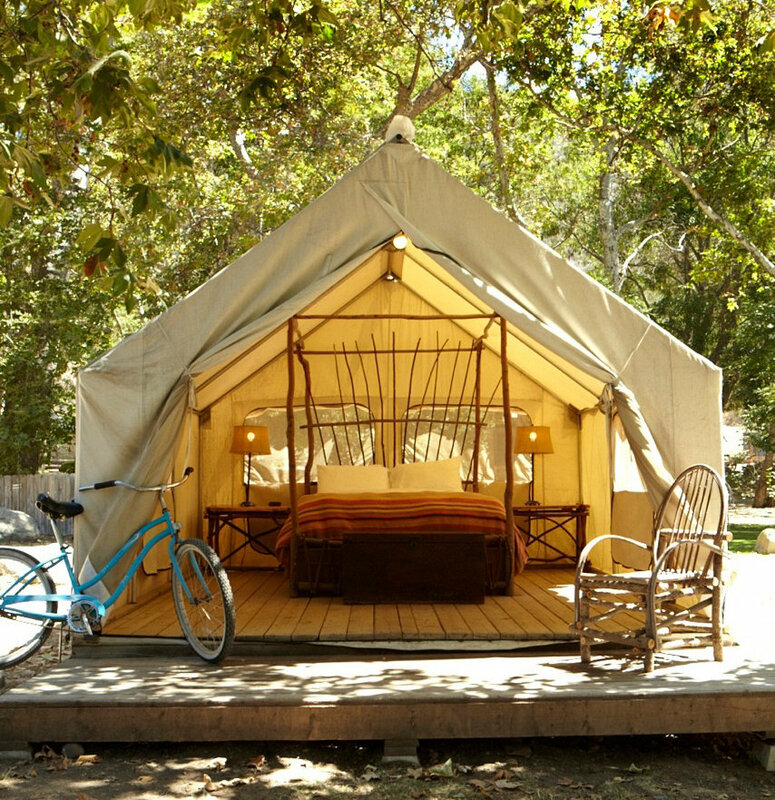 In gorgeous Santa Barbara, El Capitan Canyon offers cabins, safari tents, or yurts all located along a creek. The tents are furnished with a bed, nightstands, a desk, a storage trunk, a small heater, and electric lamps. Included with the rates are bike rentals, yoga classes, summer concerts, and Saturday night barbecues. Rates: Starts at $145 per night (double occupancy), elcapitancanyon.com. This resort will transport you back to the Wild West, but without having to “rough it.” The glamping canvas cabins feature bedroom and living areas with rustic furniture, and an attached bathroom. The rate is all-inclusive, so guests can enjoy housekeeping service, various meals and unlimited beverages, guided activities and equipment rentals, and bike rentals. If you can't get out there during the summer, the resort also offers glamping during winter. Rates: Starts at $900 per night (per person, plus 20% ranch fee, minimum two-guest occupancy), theranchatrockcreek.com. At this luxury ranch, guests can either stay in mountain tents, with views of the San Miguel Mountains, or river tents, which are adjacent to the Dolores River. 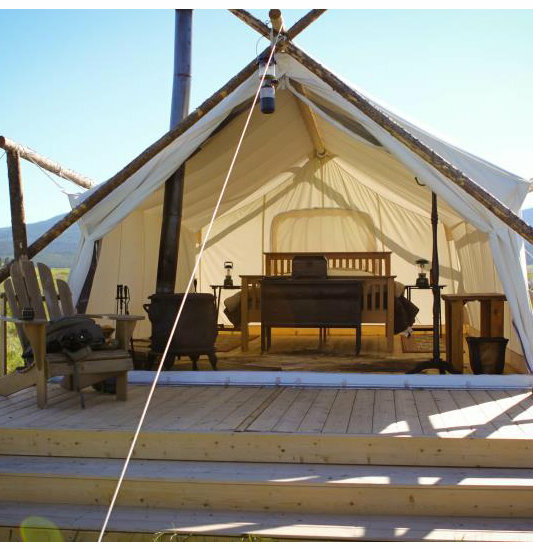 Each tent is equipped with an ensuite bathroom, gas stove, telephone and Wi-Fi, and two mountain bikes. There are plenty of outdoor activities to do like hiking and fly-fishing, plus spa packages and private yoga classes. Rates: Starts at $1,500 per night (double occupancy), duntonrivercamp.com. If you’re the adventurous type, this lodge offers enough options to satisfy. Activities include hiking, kayaking, rafting, horseback riding, mountain biking, and fly-fishing. 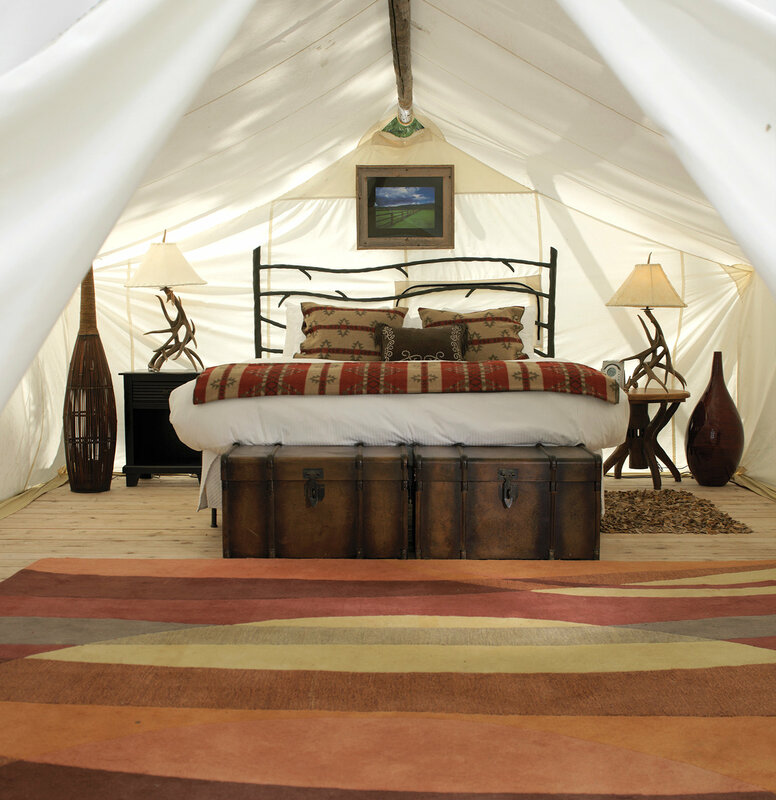 Glamping tents are outfitted with a king-sized bed, a wood stove, and best of all, an iron-claw bathtub. Rates: Starts at $109 per night (per person, plus taxes and fees), riverdancelodge.com. This is next-level glamping—each campsite at the resort (there are five overall in different locations) is assigned a camping “butler,” who can help to plan activities and itineraries and start a fire for you, plus a chef who will prepare meals for the entire camp. Each safari-like tent has amenities like an ensuite bathroom, a comfortable bed, air conditioning, and cell and Internet service. Included with your rate are equipment rentals for fishing and sports, pony rides, mountain bike rentals, and various workshops. Rates: Starts at $1195 per night (double occupancy, one-bedroom tent), pawsup.com. The glamping site is located in the middle of the Delaware River, so guests have to travel by canoe to get to their destination. 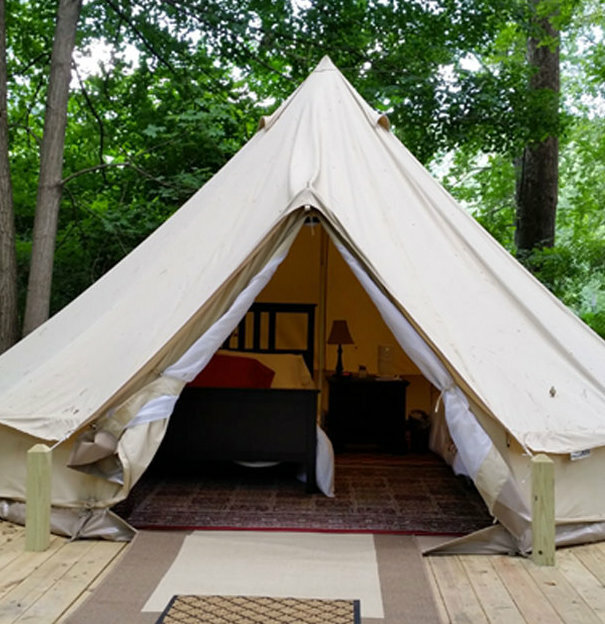 You’ll get your own bell tent, breakfast and evening snacks included, and a camp attendant to answer any questions and light and tend the campfire. If you don’t want to be so isolated, there’s a riverside glamping location on the North Lawn of the resort. 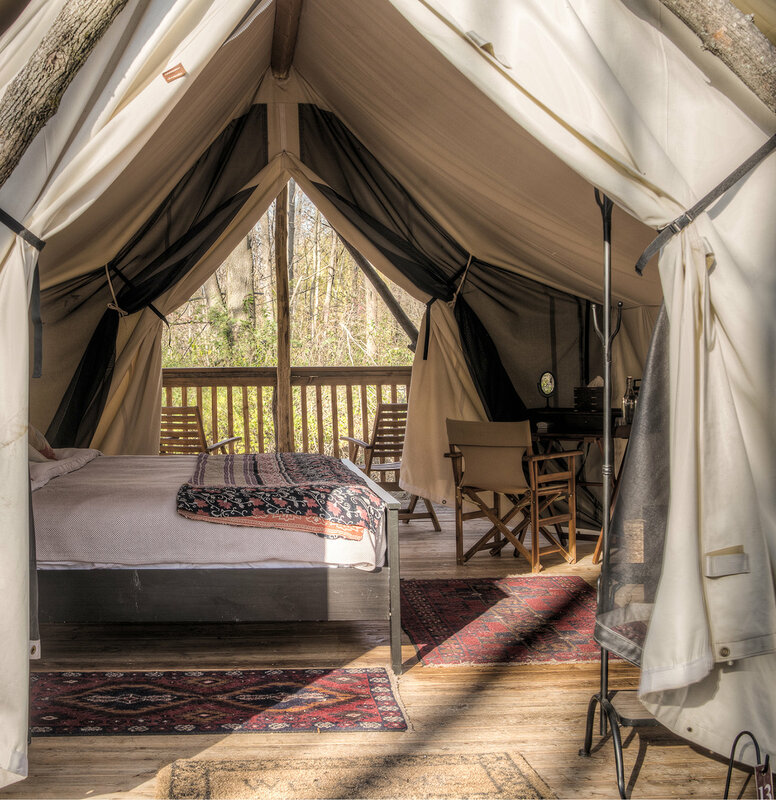 Rates: Starts at $185 per night (per person, for island glamping), shawneeinn.com. Located six miles from Yellowstone, it’s a great option to relax after a day of exploring the national park. The camp also offers activities like kayaking, ATV tours, and zip lining. 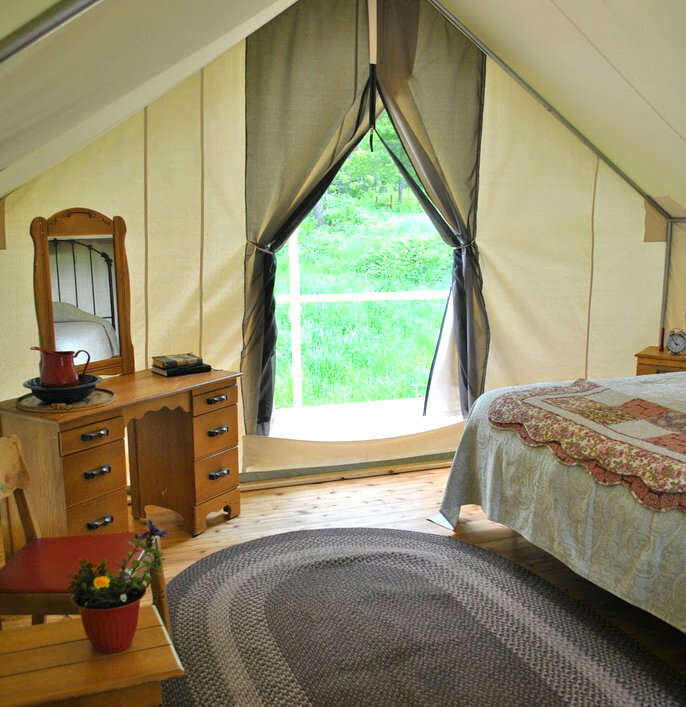 Inside your tent are a bed, rugs and furniture, and a wood burning stove—you can also opt for a deluxe or suite tent with a private bathroom. Rates: Starts at $129 per night (double occupancy), mtundercanvas.com. 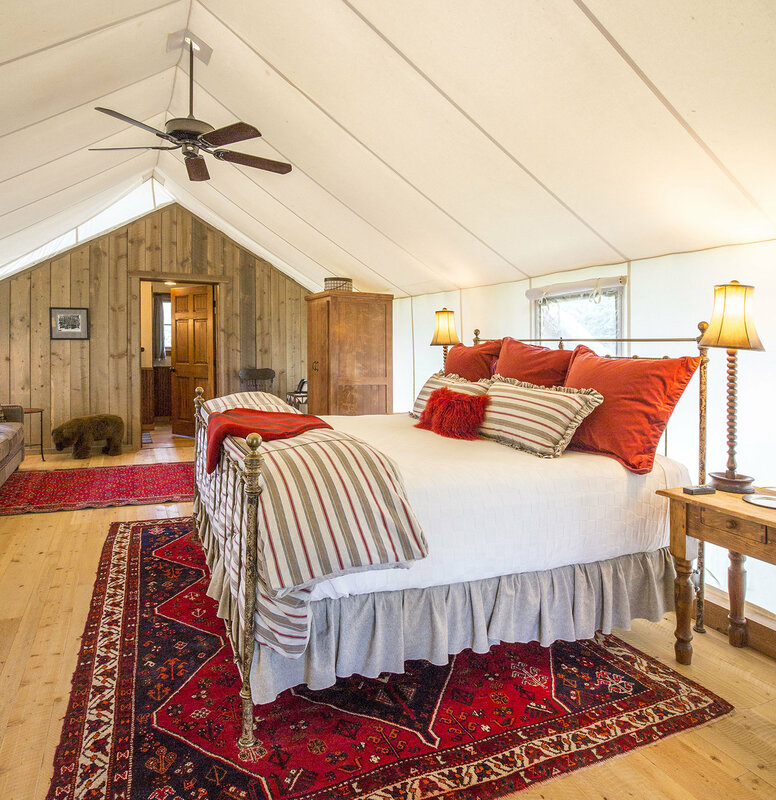 U.S. Daily News: 8 Glamping Sites Across the U.S.